Synopsis: This often, most useful and relatively easy way to arrive at a very helpful understanding of love is presented with clear, four point and 12 point trait examples; and 10 quick, practice exercises to help you immediately apply important love tools to your own love life situation, as well as arrive at an effective way to describe and semi-define love. Your Better Way to Understand Love? Love is so complicated! Understanding what love is, has and does confuses and confounds millions. Conflicting and contradictory concepts about love abound. Ignorance about love and its workings, dynamics, functions and benefits cause a lot of people to miss out on many of life’s finest and most wonderful experiences. Undervaluing love leads to dangerous vulnerabilities in both psychological and physical health, in close relationships and in life fulfillment. People who misidentify love get trapped in tragic, false love syndromes causing great emotional pain and life dysfunction. With all that at risk, you can see how having a good understanding of love may make a world of difference in your own life and the lives of those you care most about. The question is how to get that good understanding. Well, one way that may help you is using the prototype approach to comprehending and defining love. Prototyping basically means building a model of something. At the idea level, it is an assemblage of observations and concepts built into a mental model to help explain what something is by compiling and putting together what probably makes it up. In the social sciences, prototyping is a formalized research approach which arrives at a descriptive model of a subject being studied which is created from social-psychological research into its defining characteristics, traits, features, distinguishing qualities and often times its functions, dynamics and idiosyncratic peculiarities. Informally, prototyping means forming a mental picture or model of something from what some of its parts seem to be. Prototyping is similar to crowd sourcing and in criminology it is similar to profiling. An example is, if you want to know what a tree is or what people think a tree is, you ask 1000 people what they think. Some may say it has leaves and others pine needles and pinecones but if they all say it has roots, a trunk and foliage which is usually green in the spring those last three, agreed on items, can go into your model prototype of what a tree is. Of course, that is an oversimplification and there are rather advanced research procedures, algorithms and other statistical treatments involved in the actual research. 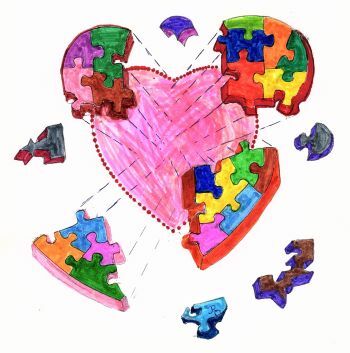 The prototyping of love has been undertaken by researchers in a number of fields especially sociology, social psychology, cultural anthropology, family studies and child psychology with contributions from sociobiology, sundry brain sciences, experimental animal comparative psychology and others. But they are not the first to attempt prototyping love. Smart, wise, insightful and inspired people have been listing the characteristics of love for a long, long time. Plato in his Symposium on Love, Ovid in the Art of Love, St. Paul in his First Letter to the Corinthians, Rumi in The Sufi Path of Love, Stendhal in On Love, Jung in his work on arch types in the collective unconscious, and Fromm in his The Art of Loving have all made contributions to creating a prototype definition of love. Some of their ideas are lasting, some problematic, some useless and some just wrong. However, taking together they all provide valuable observations for the historical prototyping of what love has been seen to be. Likewise, every major religion has descriptions of what love’s characteristics are as have several schools of philosophy. They all add to the pool of observations for prototyping the historical wisdom concerning what love is. In my view, they all deserve considerable attention. Likewise, the sciences are giving us differing but slowly more and more useful ideas which include those arrived at by the social prototyping approach. In a new field coming to be called Loveology (see “Is There Really A New Field Called Loveology?”) researchers are busy trying to weave together the wisdom of the ages and sages, the best contemporary thinking, and the many scientific approaches and discoveries for understanding love. This includes the social scientists’ attempts to arrive at a psychosocial, definitive, prototype of love. One such effort showed love to involve a prototype having 12 main attributes. They are: (1) trust, (2) caring, (3) honesty, (4) friendship, (5) respect, (6) concern for others’ well-being, (7) loyalty, (8) commitment, (9) acceptance of another’s way of being, (10) supportiveness, (11) wanting to be with the loved and (12) high and manifold interest in the loved. A moderately different set of results came from emphasizing characteristics for a prototype of committed love in established relationships. Those research revealed characteristics were: (1) loyalty, (2) responsibility, (3) keeping one’s word, (4) faithfulness, (5) trust, (6) being present for the other in good and bad times, (7) devotion, (8) reliability, (9) giving best efforts, (10) supportiveness, (11) perseverance and (12) concern for the loved ones well-being. In other research, a prototype emphasizing positive feelings and emotions resulted in a rather different prototype of love. It showed love to involve the emotions of: (1) caring for the loved mixed with wanting to feel helpful to the loved, (2) having a strong desire to be in the other’s presence while feeling care coming from the loved, (3) experiencing a feeling of mutuality of trust and (4) feeling a sense of mutual toleration and acceptance of faults, shortcomings, etc. Social and comparative psychology prototypes for understanding what love is and how it is done, have been arrived at by researching the observable and reported behaviors of love in humans and in a variety of other animals around the world. Higher order lifeforms, especially mammals, seem to do a lot of tactile love actions including caressing, licking, cuddling, snuggling, grooming and rubbing. Tonal love behaviors also are thought to occur via a variety of comforting and connecting sounds. Love expressional gestures through certain head movements, postural movement actions, forelimb behaviors and tail wagging also are thought to be evidence of love. Gifting love actions involving food, nesting and play experiences occur in many species. Caretaking and protective behaviors also are common. Some species are suspected of communicating love via amazingly rapid, brilliant, color changes especially the cephalopods (cuttlefish, squid, octopus). Some think that a good many of our animal cousins might communicate love through scent changes and olfactory generated responses. All of that might get included in a prototype of general animal love. Of course, it actually would be different for each species. That these actions convey love is supported by comparative brain science research which suggests similar brain regions, neurochemistry and neuro-electrical activity occur in human and other higher order animal brains when love is involved or thought to be occurring (see “Dog Love Is Real Love”). If you are serious about love, you can do the work of either selecting or creating your own, prototype model of what love looks like, gets us to act like and feels like. In a fuzzy, indefinite, subconscious sort of way, you probably have one of those already though you may not be consciously aware of it. With conscious effort, you can weed out its mistakes and improve on it. Then you can use it to do love better, know when real love is happening or not happening, think about love more clearly and in more informed ways, select the most appropriate and productive love actions, untangle love problems and come up with better love issue solutions, etc. Here is an example. Gunther had on his prototype list of love’s traits “love is kind”. He realized on close self examination, that what he felt for Loretta and how he acted toward her did not involve much kindness. He was, he honestly confessed to himself, more controlling, possessive and demanding though very sexually interested and pleased with her. He set out to be more kind and their relationship gradually turned into more of a sexual friendship but not what he would want for a marriage or lifetime love mate, like he previously had thought. Loretta came to a similar determination about her relationship with Gunther. They are still friends but seeing others now. Gunther concluded that without the analytical tools provided by his prototype of love, a life damaging mistake likely would have been made. Loretta concurred and was thankful. To get some practice in using a prototype of love, look at the first list above under Toward A Prototype Definition of Love, the one that begins (1) trust (2) caring, etc. Now, think of someone you do, or may, or might love and who you hope does or could love you. Then with that person in mind, apply and work with the following questions. You also can adapt this into a couple’s effort. 2. Checking the same list, does it appear I really love him, or her? 3. Using this list, does it seem I really healthfully love myself? 4. Thinking of these traits, how can I, or we, do our love better? 5. What traits of love might need to get more attention in my, or our, love relationship? 6. Which of the prototype traits of love do I, or we, see as most important right now? 7. Which of these traits do I, or we, see as least important and am I making a mistake to see them that way? 8. Which of these traits and characteristics of love do I, or we, probably need to learn a lot more about? 9. If I, or we, get better at enacting some of these traits, how well can I, or we, know for sure our love relationship is improving and growing? Once upon a time, social prototyping the nature of our earth would have led to describing it as flat. When too many people share a mistaken idea about what something is the mistake can go into the prototype. That definitely is a danger when it comes to a social prototype of love. Also, when there is too much widespread ignorance about a subject, social prototyping fails. Unfortunately, love ignorance seems rather abundant. The good news is, lots of people find it a lot easier and more useful to define love in a prototyping way than they do any other way. So, if you use it, be careful and know prototyping has its shortcomings. I bet you can get a lot more out of this mini-love-lesson by talking it over with others. While you are at it, why not tell them about this site’s broad-spectrum of love-related subject matter, wealth of love knowledge and how you’re using it? 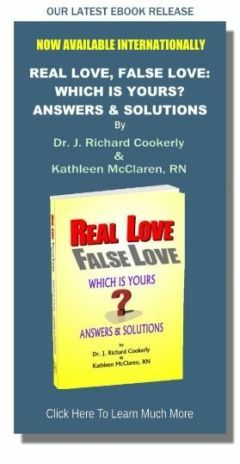 ♥ Love Success Question: If you’ve been hurt in a love relationship, could thinking with a good prototype of love help you avoid getting hurt that way again?